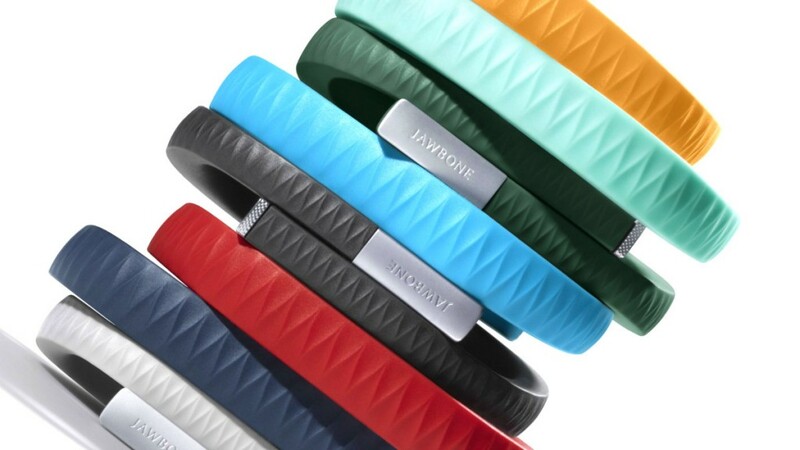 Review: The 'UP' Jawbone... the personal trainer on your arm. 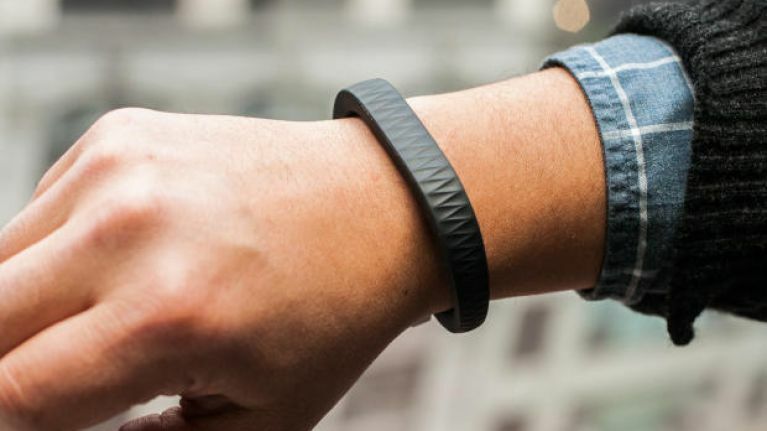 The UP wristband by Jawbone claims to help you 'know yourself better' and I have to say I did really enjoy keeping track of my sleep and daily activity with it to try and achieve balanced and healthy food, activity and sleep patterns. 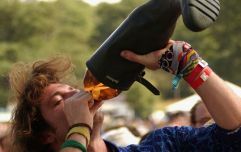 Once charged the wristband can last up to ten days on its battery, and once you have downloaded the UP app (Android, iOS) you can sync it with your phone and you are ready to go. After the first day of wearing it I was able to see in detail how many steps I had taken, how many calories I had burned and a detailed graph of my general activity for the day. You can set goals for the amount of activity you want to achieve - and can even set an alarm that buzzes on the wristband if you have been idle for too long to remind you to keep moving. You can also keep track of food and calories you have eaten during the day which you input yourself. I did do this for the first couple of days but found it a little time consuming so gave that up on day three, and just tried to eat healthy main meals and healthy snacks. The UP also tracks your sleep pattern. It tells you how long it took you to fall asleep, how many times you woke up, and your light sleep and deep sleep patterns. You can set a sleep goal and the UP will give you advice and tips on how to sleep better if you are not achieving your goal. I found out (as I knew already) I've no problems in this area! Overall I did find the UP very useful. Particularly to see how little calories I had burned on some days I hadn't been able to exercise - so I knew not to eat too much. It was great too on days when I had done a lot of exercise and I saw the steps and calories burned shoot up. I really did get into a better all round routine using the UP and it is quite inconspicuous on your wrist as anything other than a stylish wristband. Find out more about it over on the Jawbone website. 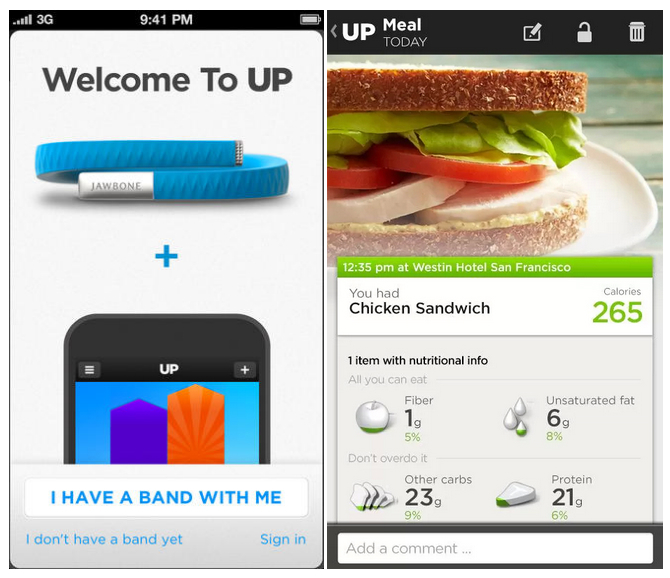 Three mobile is the only Irish network offering the Up Band by Jawbone to Irish customers until October 1st 2013. Using Three's All You Can Eat Data plan with the Up band ensures Three customers can enjoy a healthy lifestyle without fear of exceeding mobile data limits.